Ross is an origami artist and Instagrammer based in Cape Town. Raised in Johannesburg, he moved down to Cape Town in 2010 to start working in advertising as a web developer. He quit his job in 2014 to start a business with a friend and also do freelance web development work. 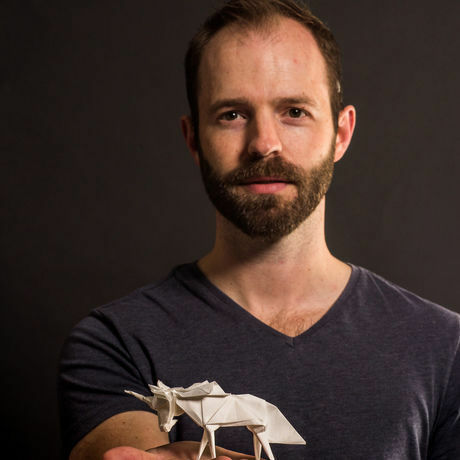 During 2014 he started an Instagram project where he posted a new origami figure everyday of the year. It was this project that launched his artist career. he loves being part of the creative community and he’d like to help other creatives turn their ideas into careers. Creative Cape Town communicates, supports and facilitates the development of the creative and knowledge economy in Cape Town through key partnerships – with the vision of making the central city a leading centre for knowledge, innovation, creativity and culture in Africa and the South. Meet and greet upstairs at the Friends of Design Academy for a complimentary coffee and breakfast followed by a 20 min talk.